1. I’m doing an illustration which will be transmitted to a commercial digital printer. The printer requires that I submit the final as a PDF, and tells me it doesn’t matter whether I work in RGB or CMYK color mode. 2. I decide to work in RGB so I’ll have access to a bigger gamut of colors. 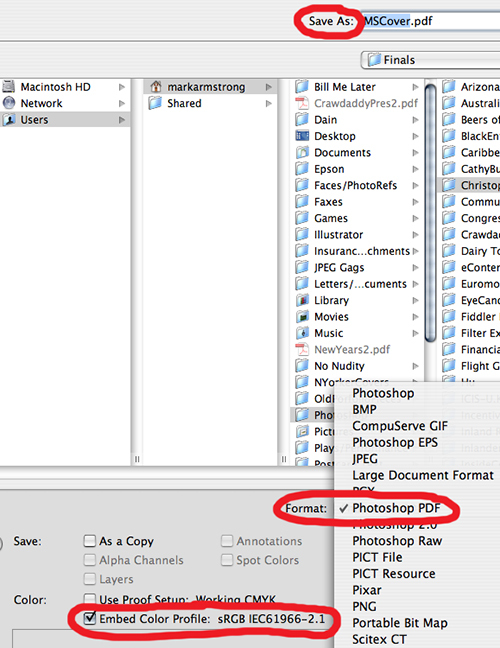 I create the illo in Photoshop as a native Photoshop file (.psd). I use Layers, including Text Layers. 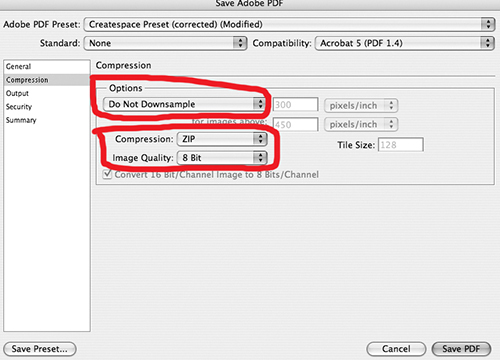 When I’m done I save the original (layered) file, then I save a copy. I rasterize the Text (embed the fonts) and then Flatten the file (the copy). Now I need to save this flattened file as a PDF. OK, that’s the background. I do a Save As, and here’s what my Save As screen looks like just before I click Save: As you can see, I’m embedding Color Profile sRBG IEC61966-2.1, which is the standard RBG profile. 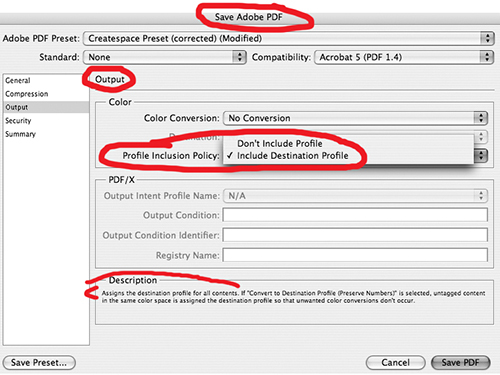 I hit Save and now I have to enter General, Compression, Output, and Security settings for the PDF file. 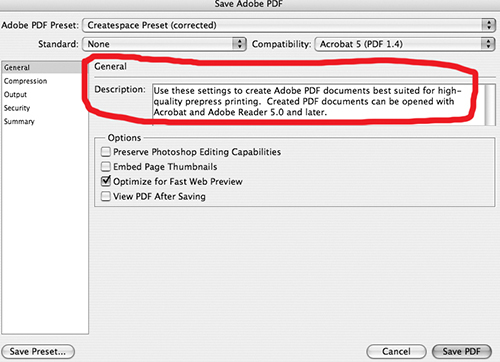 For my General settings, I’m using the settings for “high-quality prepress printing” (I’ve just given this Preset a new job-specific name): For Compression, I choose “Do Not Downsample” and Zip (to make sure I don’t lose any data): Next, I have to choose the Output settings which control how color will be assigned to the printed piece. This is the part that I’m not sure about. 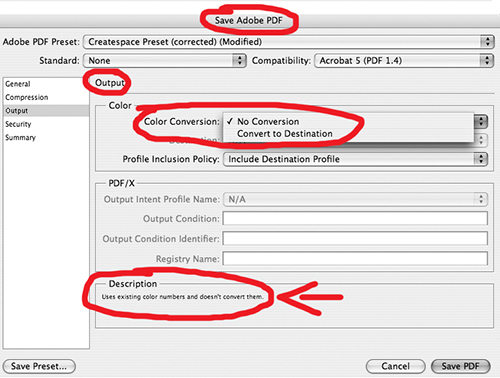 Having embedded the RBG profile (sRBG IEC61966-2.1) in my PDF file, if I choose “No Conversion” and “Include Destination Profile,” can I be sure that the printer will print my illustration using the embedded color profile sRBG IEC61966-2.1?